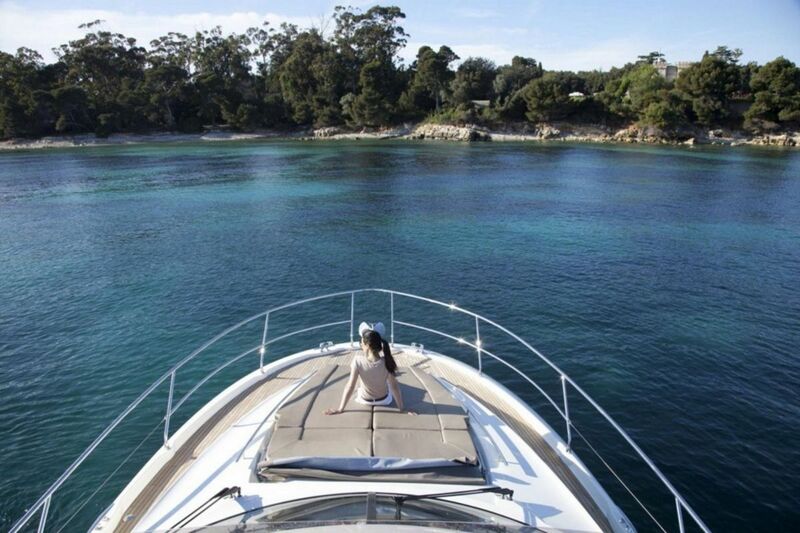 The world's most awarded 50ft motor yacht is available for charter on the French Riviera! 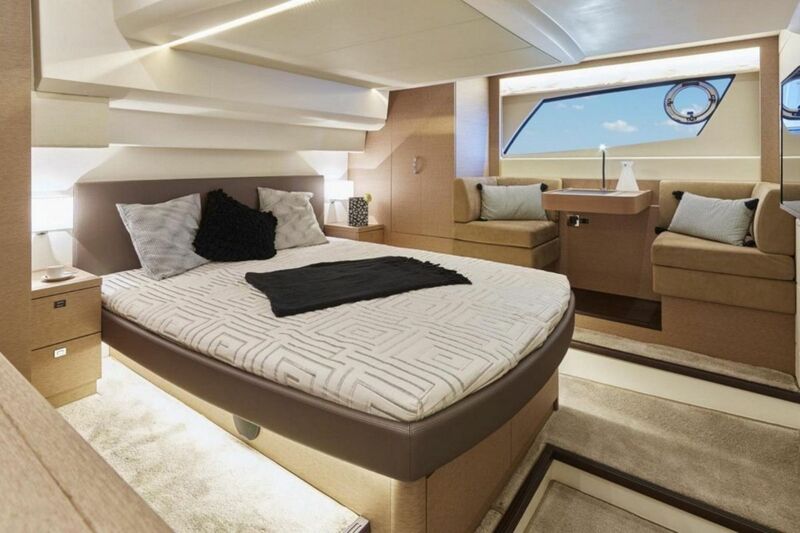 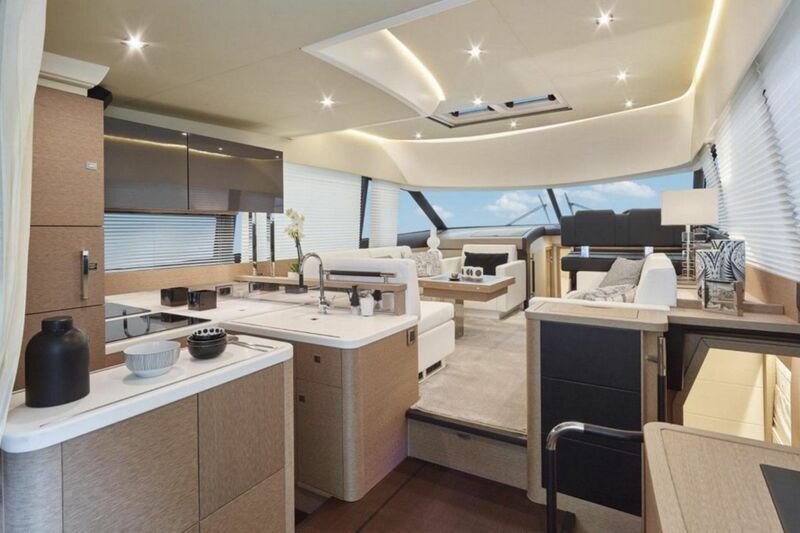 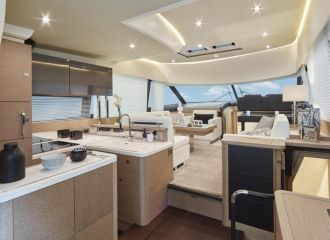 The deck plan of this Prestige 500 flybridge available for a yacht rental in the south of France is designed to facilitate life on-board, with wide side decks, open plan interior, and the spacious cockpit opening onto the aft swim platform. 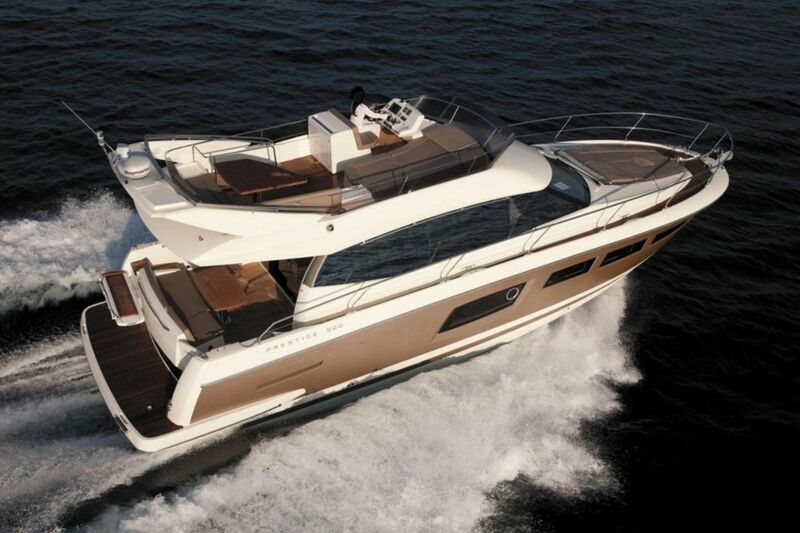 The point of pride of this Prestige 500 flybridge remains the upper deck - a real terrace overlooking the horizon with sunbathing and seating areas. 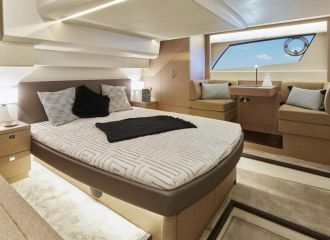 The luxurious master cabin, with private access and an adjoining bathroom is very comfortable and has large windows for maximized natural light. 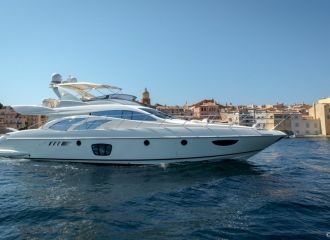 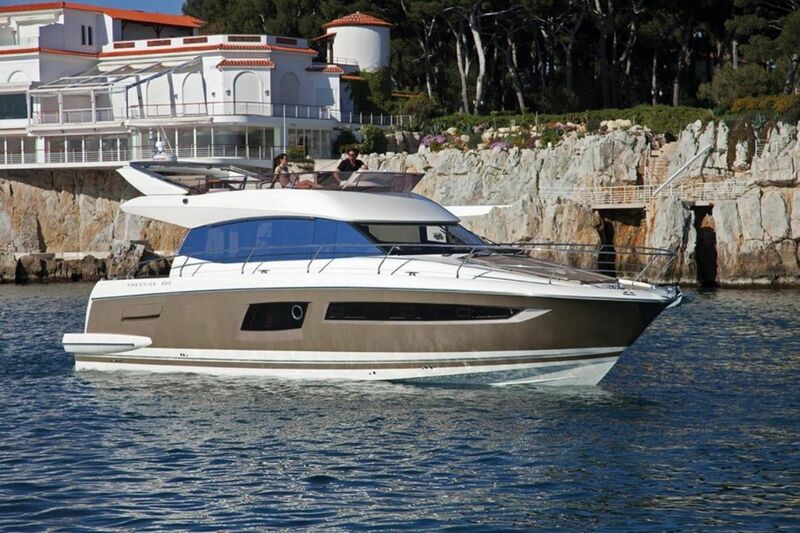 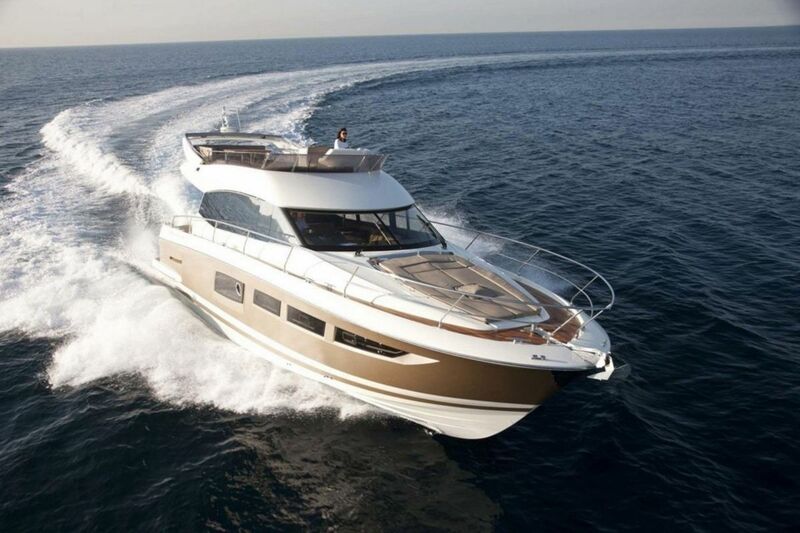 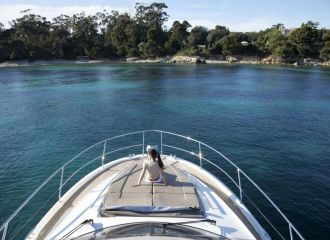 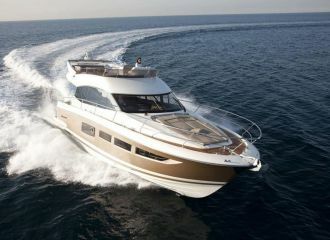 This Prestige 500 flybridge is ideal for a day charter along the French Riviera from Cannes to Monaco or St Tropez. 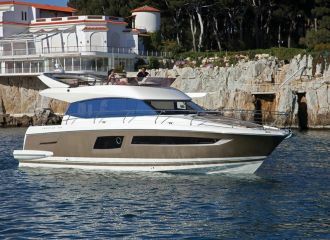 total 3250	€ Excluding APA ?